Congratulations to the boys who were awarded certificates for successfully graduating from the Coaching College after their final coaching session on the 17th of January. They are Blaine Macfadyen (Bearsden), Scott Souter (Douglas Park), Liam Taylor (Bearsden), Daniel Kerrigan (Balmore), Matthew McAlpine (Bearsden), Matthew Goring (Clober), David Sandhu (Bearsden), Lucas Slaven (Clober) and Isaac Martin (Bearsden). 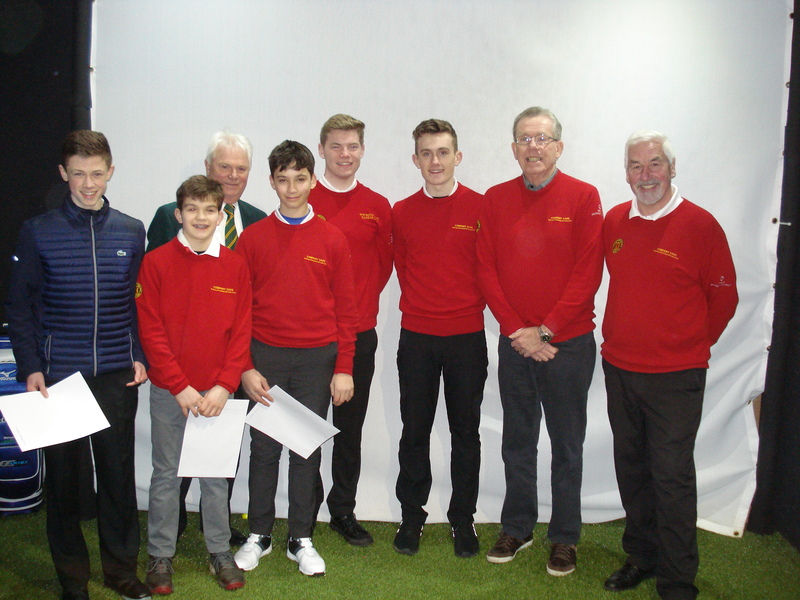 The first five boys mentioned are shown from left to right in the picture below along with Alan Bell (DGU President), Frank Gloag (DGU Coaching Convenor) and Bob Collinson (DGU Coach). Blaine Macfadyen was awarded the trophy for being the most improved player over the 15 month coaching period. 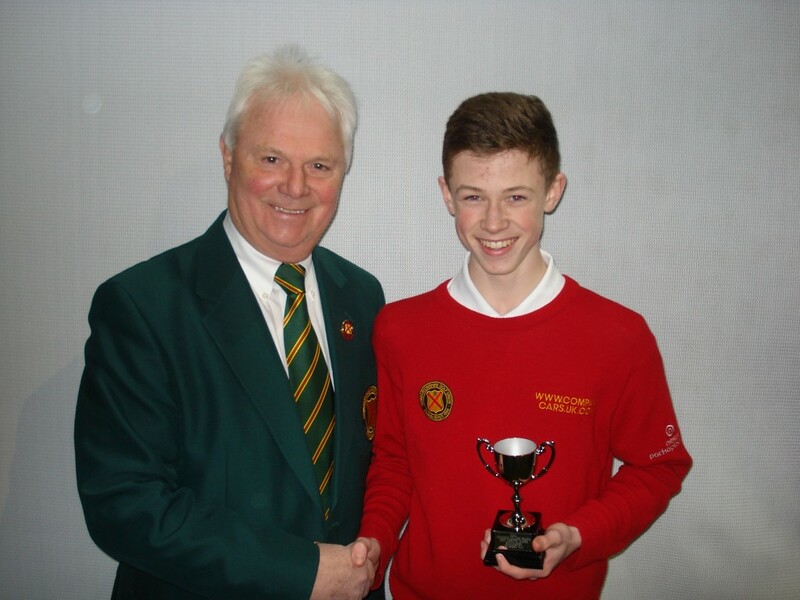 He is shown below receiving his trophy from Alan Bell.